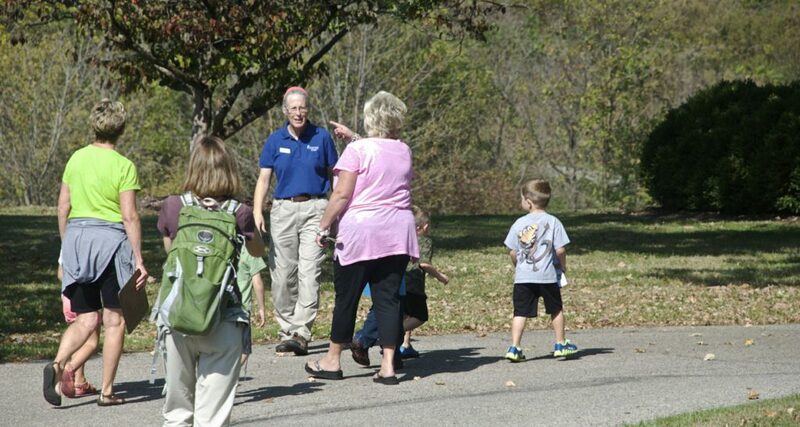 It certainly feels as if spring has sprung a bit early this year and one of the best places to experience the warm weather and nature is at the Great Parks of Hamilton County. 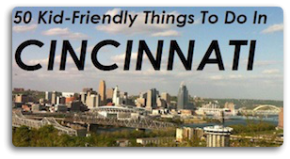 Spread throughout the Cincinnati area, the parks host plenty of activities for the whole family. Check out the complete list of events happening during March and start planning your trip now! Date and Time: Sat 3/11, 6:30 p.m.
Take a sunset hike with the naturalist and catch the incredible courtship display of the American woodcock. Dress for the weather, as the timberdoodles will dance rain or shine! For ages 8 and up. Date and Time: Thu 3/16, 11 a.m.
Parents, bring your 3–5 year-old to learn all about the things beyond our atmosphere! Children will enjoy making a craft, reading a story and an activity. Date and Time: Sat 3/18, 8 a.m.
Stroll along the paved hike-bike trail with the naturalist to look for the wet and wild water birds that call our parkhome. Don’t forget your binoculars and dress for the weather as we’ll be hiking rain or shine. For ages 8 and up. Date and Time: Sun 3/19, 1 p.m.
Ohio would be a lot less colorful without its 500 species of native bees. Come join the naturalist to learn about these powerful pollinators and build a mason bee house. Date and Time: Sun 3/26, 2 p.m.
As the weather warms, nature is becoming more active. Bring the family for a short hike to explore the springtime woods. Learn leadership skills, gain valuable work experience and build life-long friendships as a Great Parks’ volunteer. Join us to learn about all the volunteer roles available, with a focus on the opportunities at the Winton Woods Riding Center. For ages 14–17. Learn the basics of shooting a compound bow on an outdoor range, and then try out your skills with a little target practice! 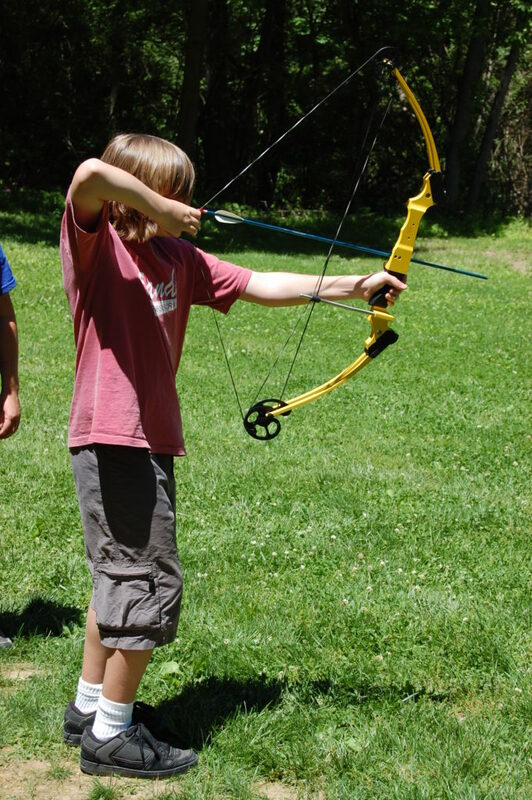 Archery is led by an instructor and all equipment is provided. For adults and children ages 8 and up. Have you already taken a Great Parks’ outdoor archery class and want to further improve your shot? Then this program is right on target! After quickly reviewing the steps to archery success, archers will aim towards increasing accuracy and test their skills with the apple challenge. For adults and children ages 8 and up. Date and Time: Sun 3/12−3/26, 1–3 p.m.
PGA professionals will lead a different topic each week to keep your skills sharp through the winter: computer video swing analysis on 3/12, putting clinic on 3/19 and pitching and chipping on 3/26. 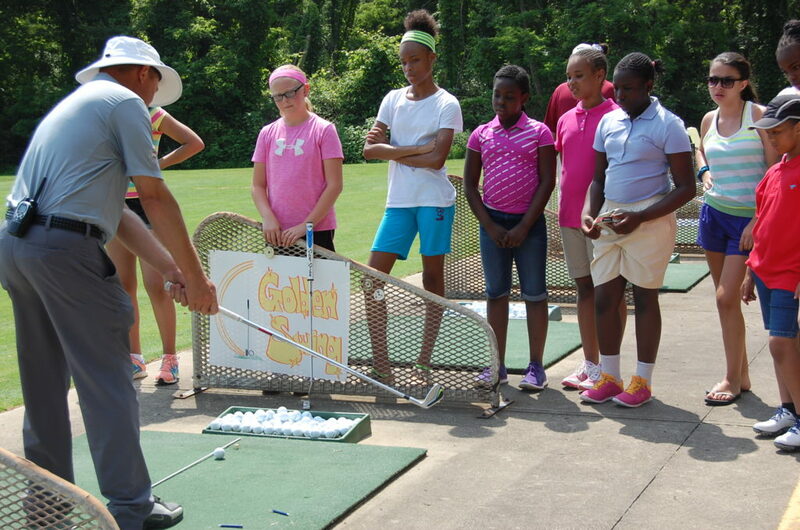 Classes are held in an auditorium and at the heated, covered driving range, so weather won’t be an issue. The farm animals have reported seeing leprechauns hiding around Parky’s Farm. Follow the rainbow clues and help find the pot of gold. Program includes a wagon ride and time in Parky’s Playbarn. For ages 2–5. Learn the fundamentals of the five shots encountered on the golf course, including wood shots, iron shots, chipping, pitching and putting. This five-week class covers fundamentals, rules and etiquette. What do Daisies, goats and chickens have in common? Find out while LEARNing about these fun farm animals, SEEing them play and DOing your part to care for them. Date and Time: Sat 3/18 & Sun 3/19, 1–4 p.m.
Get a bird’s eye view of a great blue heron nesting spot. Travel along the West Branch Trail at your own pace to view these feathered marvels in their tree-top homes. Spotting scopes will be provided. Put your best hoof forward and high step with the ponies! Learn about the different parts of a pony and how our ponies move. Play in the paddock and try your own different gaits. Program includes a wagon ride and time in Parky’s Playbarn. For ages 2–5. Regulating our body temperatures is important to survival, as well as enjoying the wilderness! Join Adventure Outpost staff to explore ways to stay warm and dry during your time outdoors and then create a shelter in our outdoor classroom. For ages 8 and up. Strap up your boots and get ready to dig your hands into some real farm chores. Explore the barnyard and learn how to care for different animals. Help feed the cow, clean out a horse stall and check on the rabbits. Jump into life in the early 1800’s. Go to school, get your farm chores completed, try some pioneer games and get ready to dance your shoes off in this blast from the past! 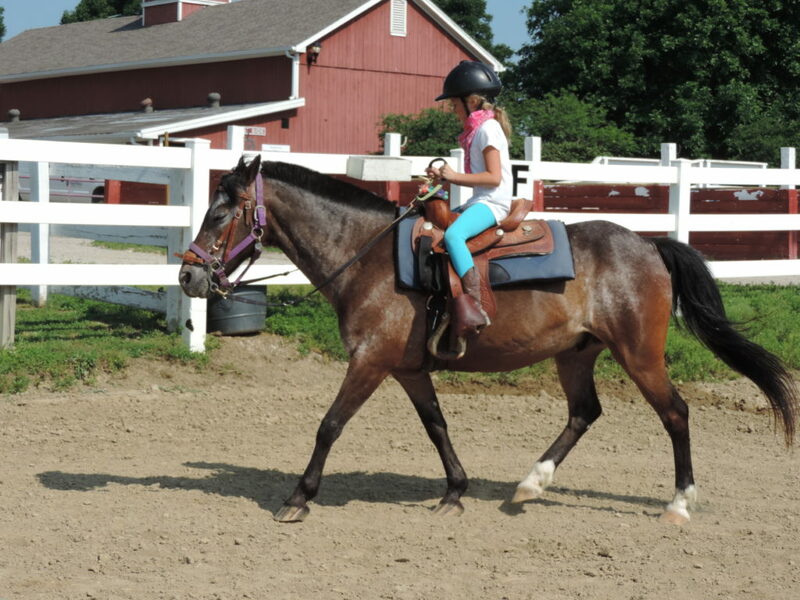 Winton Woods Riding Center spring break horse camps are three full days of camp. Topics include horse safety, breeds, grooming and riding. This camp is suitable for beginners to intermediate level riders, ages 7–17. Fishy, fishy in the brook, won’t you bite my little hook? Enjoy fishing activities for young ones who can’t wait for the bite. Build a fish habitat, touch and examine a fish and learn what makes it special. Make a fish snack to feed real fish at our pond. Program includes a wagon ride and time in Parky’s Playbarn. For ages 2–5. Home-schooled students ages 5-12 and parents are invited to explore interactive learning stations, take part in lessons and hike to view a heron rockery. Bring binoculars if you have them. Register your 2–4 year old for this exciting program all about these happy hoppers. The program will be followed by story time and a craft. Date and Time: Sat 3/11, 1–2 p.m.
Take steps for a better you and learn health tips from a local doctor along the way. Put some spring in your step on this wooded one-mile adventure. Do you enjoy listening to the frogs and toads calling at night? Join us to discover how you can contribute your own observations to this exciting citizen science project. No prior knowledge is required! Home-schooled students ages 5–12 and parents are invited to explore interactive learning stations, lessons and a guided outdoor exploration. 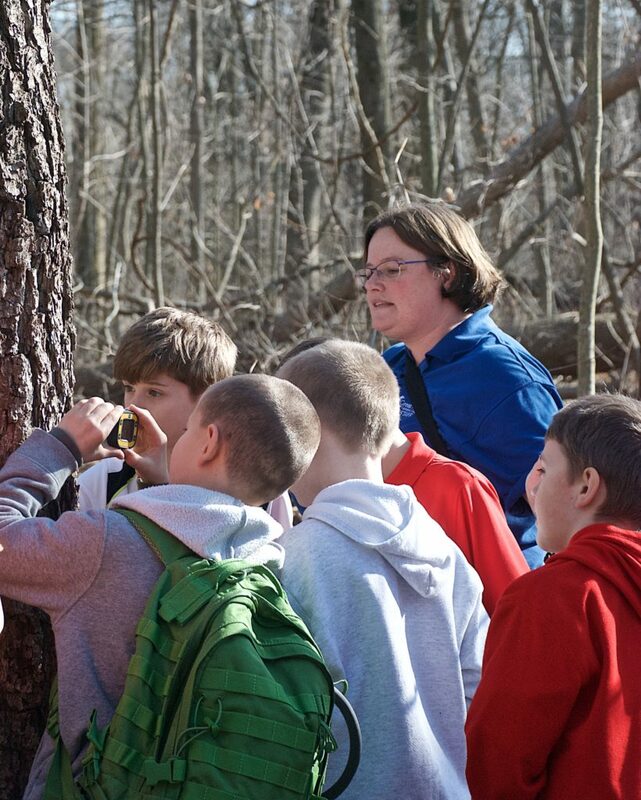 Date and Time: Sat 3/25, 10 a.m.
Join the naturalist to see what’s stirring in the forest. We will go for a relaxing hike along a woodland trail to welcome in the spring season. Bring your 3–5 year-old to this month’s jamboree. Through crafts and activities, we will learn all about the ocean. Date and Time: Fri 3/17, 11 a.m. When darkness falls in our woodlands, a cacophony of rustlings, hoots and howls can be heard coming from the trees. Meet a nocturnal animal and discover the outdoor world that exists after our bedtime. Date and Time: Sat 3/18, 1 p.m. Maneuvering through a wildflower patch, hummingbirds hover over each flower while feeding, and then dart forwards or backwards to the next sweet treat. Their high metabolism dictates they must consume many calories. Learn how to attract these tiny birds to your feeder for a sugar fill-up. Ready for spring? Put your hiking shoes on and join us for a hike as we prepare for spring’s arrival. We will see what critters have awoken from their long winter nap. Join a PGA pro for four weeks of beginner golf lessons covering the basic fundamentals of grip, stance and swing. Date and Time: Thu 3/23, 11 a.m. Nature has many stories to tell. Families are invited to join a naturalist for a nature-themed story. Get your steps in while enjoying a guided, one-mile nature walk through the woods and an adjacent prairie habitat. Date and Time: Sun 3/26, 1–3 p.m.
Children ages 3–12 will enjoy making crafts celebrating spring. Kids can make up to two crafts to take home. Date and Time: Tuesadays 3/14, 3/21, & 3/28, 5:30 p.m.
Join us to reduce stress, increase awareness and learn to be comfortable both on and off the mat. Taught by a certified instructor, this mixed-level class is for everyone, including those who have never tried yoga before. Class is held rain or shine, but moves indoors for rain or cold. Date and Time: Sat 3/11, 10 a.m.–4 p.m. The Ohio Valley Woodturners will show their skills through an exhibit of finished pieces and live demonstrations of works-in-progress on wood lathes. This unique craft gives wood another life. Join us on a strenuous hike to discover some off-the-beaten-trail historical areas in the park while practicing basic orienteering skills and Leave No Trace guidelines. Long pants, rain gear, two water bottles and snacks are recommended. For adults and children ages 14 and up. Date and Time: Sun 3/12, 1–3 p.m. Graceful, beautiful and noble, these are not words we often associate with vultures. Stop by between 1–3 p.m. to observe wild vultures overhead and learn the truth about these often overlooked members of our wild neighborhood. Join the naturalist as we sniff around for skunk cabbage, a rare plant with many unique features. Calling all Bear Cub Scout leaders! This is your chance to complete the “Fur, Feathers and Ferns” badge. 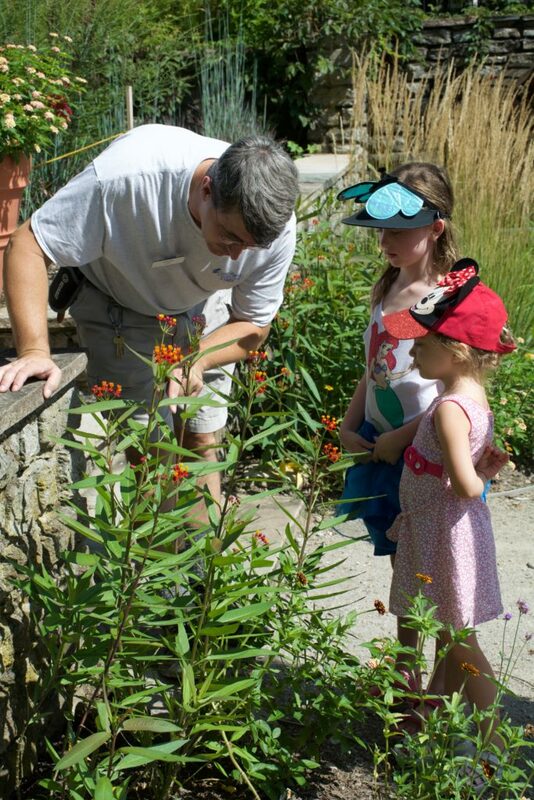 Join the naturalist for interactive activities as we spend two hours accomplishing the necessary requirements. Date and Time: Wed 3/15–Sun 3/26, Wed–Sat, 10:45 a.m., 1 p.m. & 4 p.m. & Sun, 1 & 4 p.m. The weather plays a large role in nature as well as how we plan our day. Visit us to learn about the different types of weather through fun facts and activities. Date and Time: Wed 3/29–Sun 4/2, Wed–Sat, 10:45 a.m., 1 p.m. & 4 p.m. & Sun, 1 & 4 p.m.
What is an egg? What does it do? Are they all the same? What kinds of animals produce eggs? Join us to dissect these and other questions about eggs. For additional information, please visit http://www.greatparks.org/ or call 513-521-7275. Also, be sure to check out our Facebook page and follow us on Twitter to find out more about what’s happening at the parks.